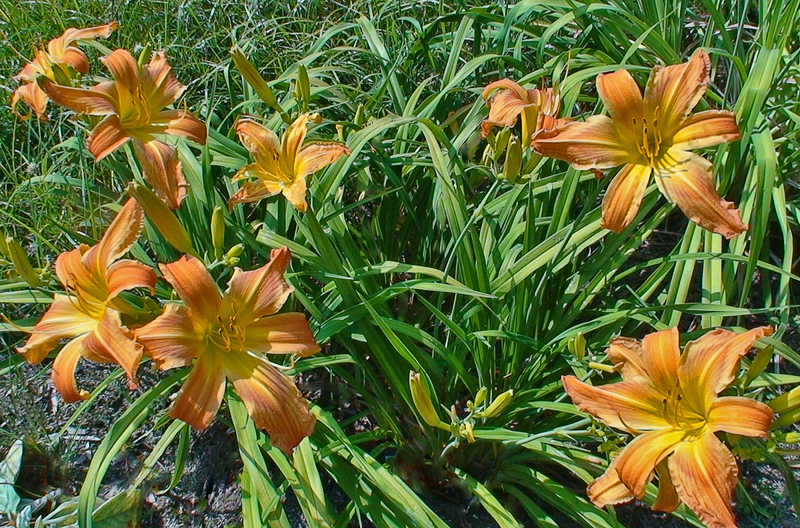 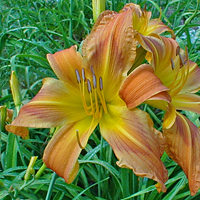 Hemerocallis ‘A Moose Fishing On A Pond On Monday’ is a diploid 2000 introduction. 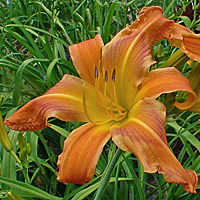 H. 'A Moose Fishing On A Pond On Monday' was my very first daylily registration and it was also noted for having the longest name in daylily history. 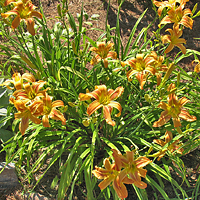 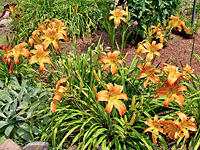 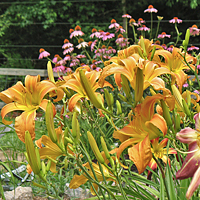 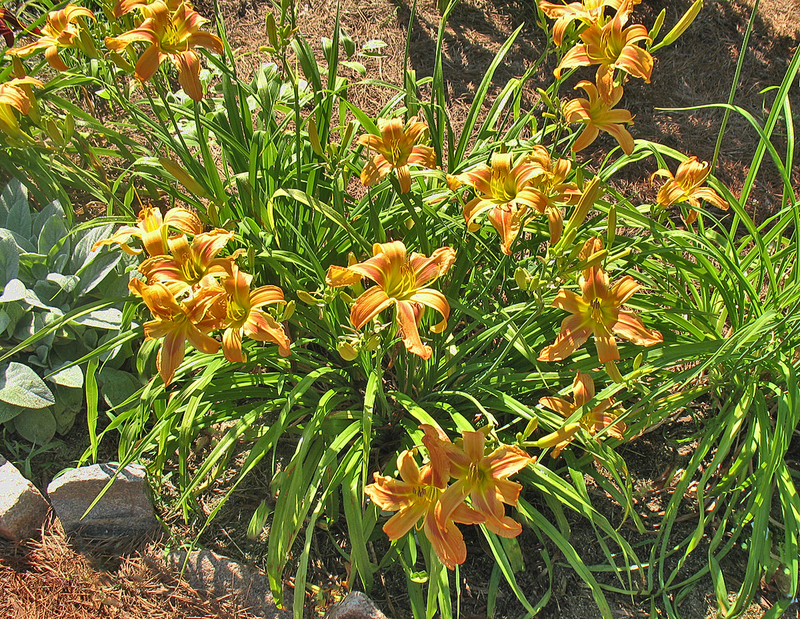 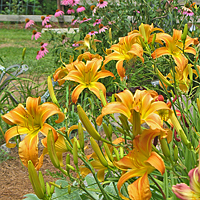 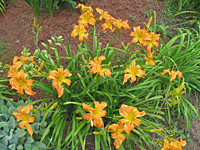 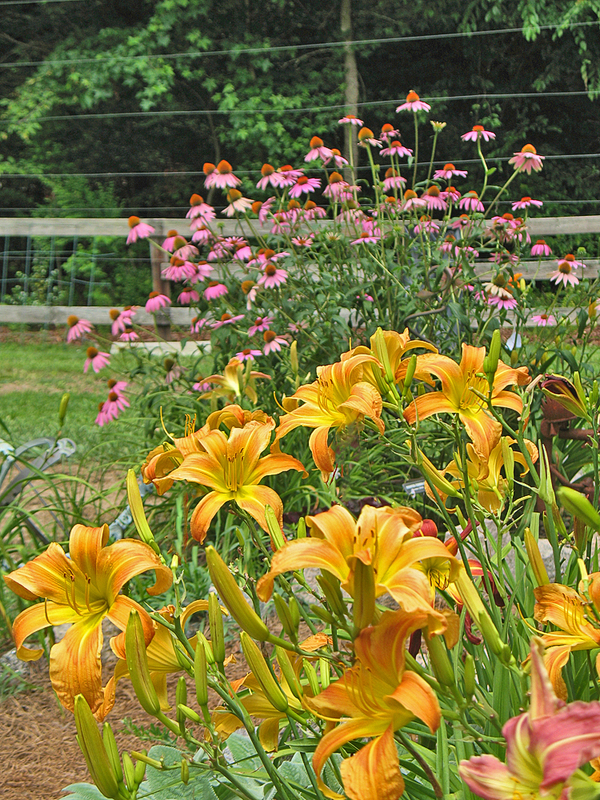 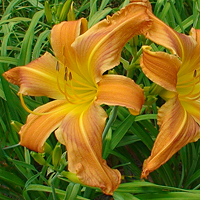 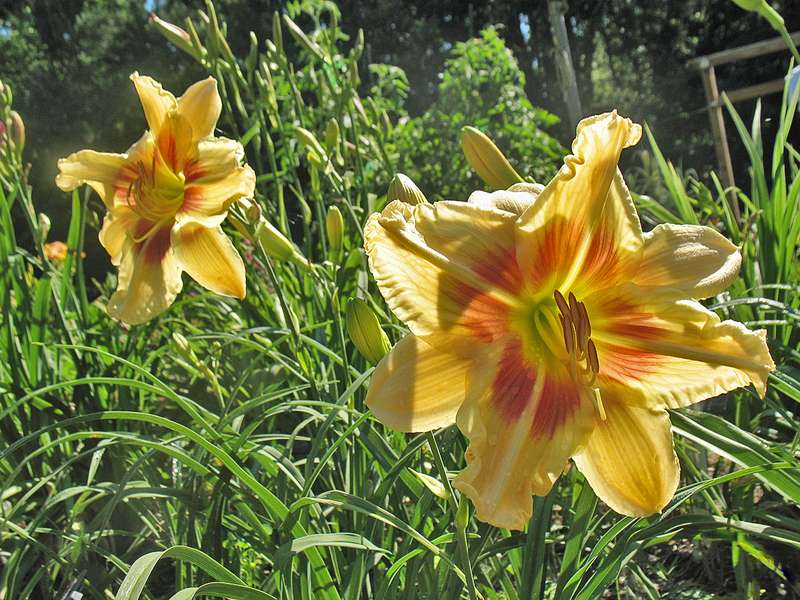 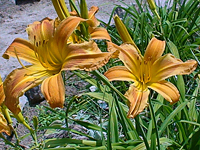 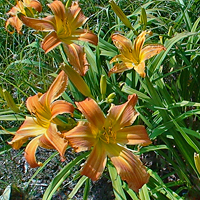 It was the first daylily to be registered when the International Code of Nomenclature (ICNCP) revised the naming conventions from only three words and changed it to a maximum of 30 characters and 10 syllables. 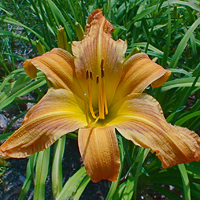 This was the first daylily to test the new rules and the Registrar at that time rejected my name but was overruled by the AHS Registration Committee when I filed an appeal. 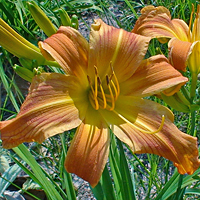 H. 'A Moose Fishing On A Pond On Monday' is a wonderful bouquet bloomer with a 7" flower on 29' scapes. 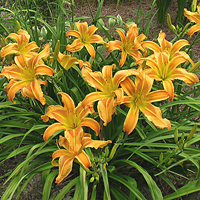 Just look at the beautiful clump pictures below. 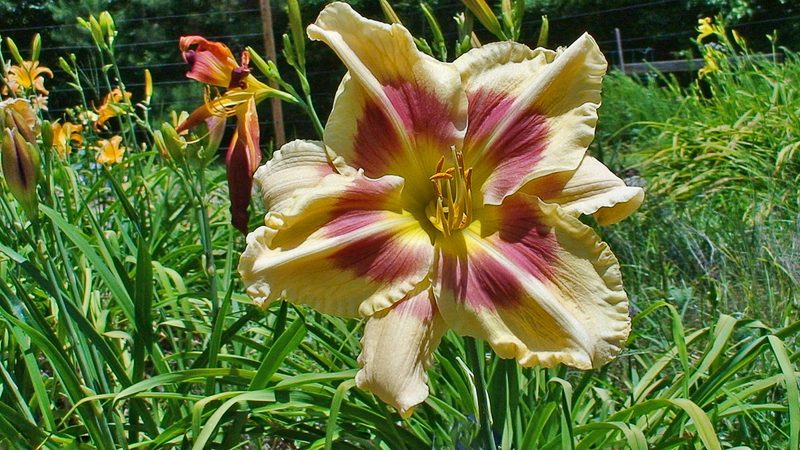 This semi-evergreen diploid begins its bloom in the early mid-season and it does rebloom. 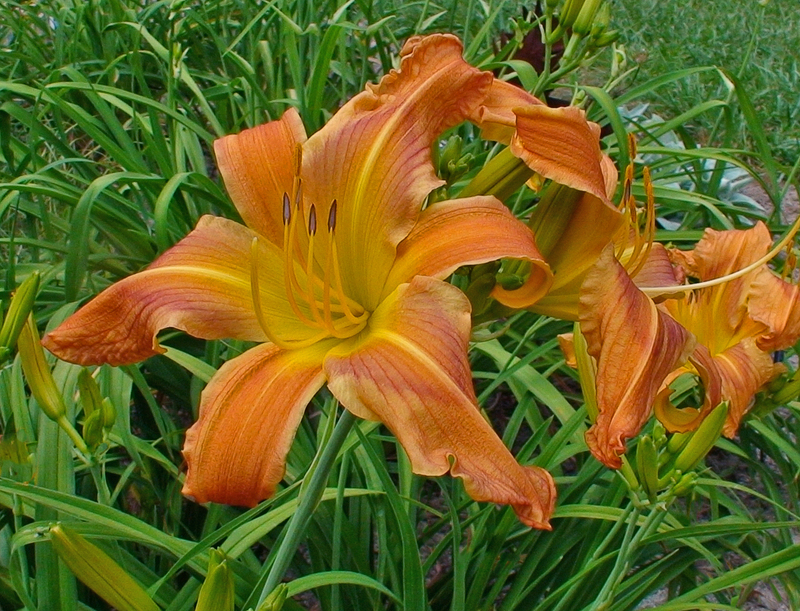 The flowers are a salmon orange blend with a deeper banded watermark and petal veining. 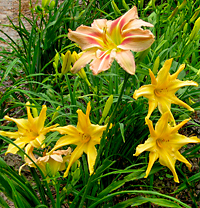 This is the first flower in my "Moose" series featuring the moose doing something different on each day of the week.